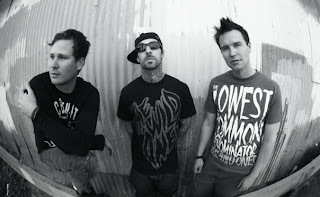 Today came as a surprise that Blink-182 would release a brand new tune called "Boxing Day." I do remember last month that the trio did mention they would be releasing a new EP in December called Dogs Eating Dogs and now we get to stream the first new song from the EP, which is a more Holiday sounding tune, but is in perfect timing. The song sort of has that "Miss You" vibe, not much of their poppy-punk stuff, more a more chilled and relaxing song. Yet, Blink-182 excels at this sound too and I'll be curious to how the rest of the EP will sound. For now, stream "Boxing Day" below.